Sunday afternoon I walk into my classroom, and an explosion greets me. On the carpet, the tables, bursting out of the cabinets, are books. Piles of books. Out with the old and in with the new. The changing of a classroom library. The last units on non-fiction and realistic fiction are boxed up. Waiting to be put away in the cabinets. The shelves are empty. Waiting to be filled with fantasy, a renewed selection of realistic fiction, poetry, and nonfiction. Over the years, I’ve collected books for units of study, for kids’ interests. Each book has a history. I pick up the Guardians of the Gahoole series, and I remember those students who loved Gelfie and Soren. Maybird, The Unicorn Chronicles, and Emily Windsnap bring to mind the girls who begged for the next in the series. Owlboy, the superhero of the sewers, is always a favorite. Each book reminds me of a kid or makes me think of a potential reader. Sir Fartsalot. I know the group for this one. Hours later the room is finished. Every book will be new to my current crop of fifth graders. I leave knowing that books will attach themselves to children. Books will make their mark. Students will love these books. To ask if they can help, to talk. spotting the change they swarm. Dragons, unicorns, witches, mermaids, wizards, friendly giants. At lunchtime, a group of girls made unicorns out of colored paper and taped them to their heads. They said they were alicorns. Alicorns? I asked, Yeah, those are girl unicorns. Then there were the Pegacorns. These are half unicorn, half Pegasus creatures. 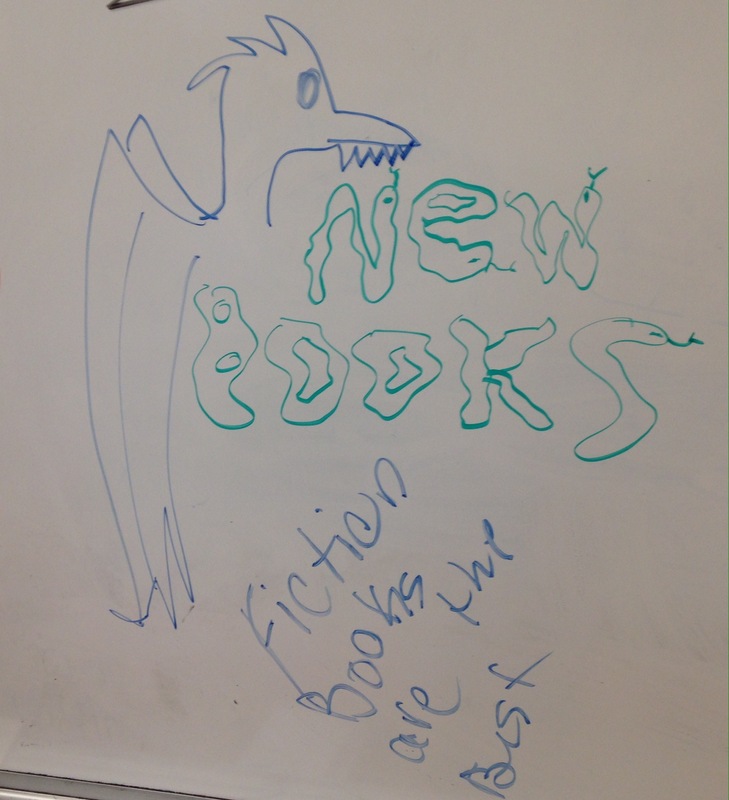 Ah, the magic of fantasy.The promise of new books. I can’t help but smile. Wow, I wish I could be in your class!!! Book love for young book lovers… How fantastic!!! Changing out books was always such a refreshing time in my classroom. I used to change out my children’s toys as well. I love the pictures you added, makes me feel like I’m in there with you drinking coffee and laughing about books. This must be a TC thing. I’ve never changed out my library. All the books are there all year round. But I see that the change creates a buzz, an interest. Maybe something I should try. I enjoy seeing the new books too! I have never changed out my library (in part because I have nowhere to put the archived books, in part because I do not know how I could not let the students revel in all the books), but your post makes me feel like I should at least consider it. I love to read about the book love in your room. I store them all over the place. Crazy making at times but it keeps it fresh. Book explosion, love the images those two words create! You have helped your students discover the magic in books. Book love happens here! How great that the kids coined their own words. You have some serious readers and writers there. Alicorns and pegacorns…and the magic that comes from a teacher lovingly curating a library. Lovely post! Now it is MY fantasy to travel back in time but only if I could have YOU for a teacher!! Enjoy the fantasy unit!! This reminds me of rotating my children’s toys when they were little. They always seemed knew to them. I am not sure how I would do that with books…hmm something to think about. I logged on to the “title talk” chat on Sunday. All fantasy titles. Your classroom library is awesome!